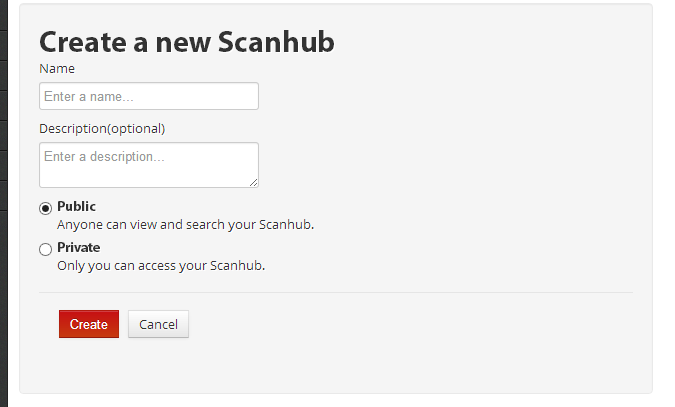 The main purpose of Scanhub is to provide an easy way to create a search engine out of raw network scans. Nmap is the most common and famous tool for such a job, but there are some new kids on the block that fill a different niche and Masscan is the first of the new breed of scanning tools that Scanhub now supports thanks to the help from @andrewsmhay. Masscan provides a fast way to scan the entire Internet on your own and with Scanhub you can make that data searchable for yourself and others. The only thing to note is that the XML from Masscan isn’t as full-featured as an Nmap scan, so you won’t be seeing as much summary information as you would if you uploaded an Nmap XML file (i.e. no breakdown of operating systems, domains, traceroutes and fewer banners). That being said, to get started with Scanhub + Masscan simply set your Masscan tool to output in XML format using -oX scan.xml and upload that file to your Scanhub repository. As a way to test Scanhub and share how I use it, I will go through the process of setting up a new Scanhub to monitor the ZeuS Botnet Command & Control servers. I’ll show how to create a Scanhub, the Nmap command that will be used to scan the devices and at the end you’ll see how it looks like as an end-user! Note that the results of the Nmap scan are saved as XML (“-oX”) and inside a file called “zeus.xml”. And that’s it! Within a few seconds the results will show up on Scanhub and all the information that Nmap gathered (traceroutes, script output, operating systems, geolocation) will be searchable. I’ll make another post about the results and how to scale this into analyzing a lot of malware-hosting servers, but for now I hope this has provided some insight into how my usual workflow is when using Scanhub. And if there’s something you would like to have me discuss or cover on the blog please let me know in the comments!